Addis Ababa is growing very fast, putting more and more pressure on water resources. Climate change will increase flood risks in the city, while droughts in neighboring regions will trigger higher migration rates. The Water & Sewerage Authority is trying to improve water and sanitation conditions, but Addis Ababa needs a comprehensive climate adaptation plan. The main issue for Addis Ababa, capital of Ethiopia and its largest urban center, is water. Located at the foot of Mount Entoto, Addis Ababa enjoys relatively mild temperatures. The city is served by a number of rivers, mainly the Big and Little Akaki Rivers and the Awash River, which directly run through its urban center. Population growth projections, however, forecast for Addis Ababa a future with 8 million residents by 2020. Already the African city with the second highest percentage of population living in slums (85–90%), a population growth of about 3,8% means that the slums will expand into neighboring areas. Overcrowding, improper waste disposal and lack of housing infrastructure are already a huge problem for Addis Ababa’s inhabitants and will keep complicating their life. The main problem comes from water. In fact, as the rivers are currently used both for water supply and sanitation needs, pressure on these vital resources will increase. Climate change will provide additional challenges. A rise in mean annual temperatures and stronger heat waves are expected. However, this will affect only marginally the residents, thanks to the mild baseline temperatures of the region. On the other hand, increased droughts in surrounding regions are likely to lead to higher migration rates to the capital, putting further pressure on the already scarce infrastructure. An increase in intense rainfalls will produce more frequent flooding of the extensive waterway network, endangering residents’ water supply. To deal with these complex problems, the Addis Ababa Water & Sewerage Authority is trying to improve water and sanitation conditions, following the 2002 Wastewater Master Plan and the 2011 Urban Sanitation Universal Access Plan II. The Authority has also modernized two water purification plants and built a dam to increase water flow into the city. But there is still much that can be done. For instance, the city needs a comprehensive mitigation and adaptation strategy to climate change, but it lacks the necessary funds to tackle the most urgent problems. According to experts, a change in city zoning laws allowing green spaces along all waterways would improve water quality and increase resistance to floods. Penalties should also be imposed on industries polluting the rivers. “We are implementing a green growth strategy as part of the country’s broader commitment to a low carbon growth path” promised mayor Diriba Kuma. “Sharing our ideas with other cities and also learning from those cities that are dealing with similar issues is helping us to understand how to tackle climate change in an effective way”. There is a silver lining. Though from 1973 to 2010 the urban area of the city expanded over 12 times, in the same time frame its density reduced from just under 30,000 people per square kilometer to 7,500, which helped reduce the potential effects of over-density. 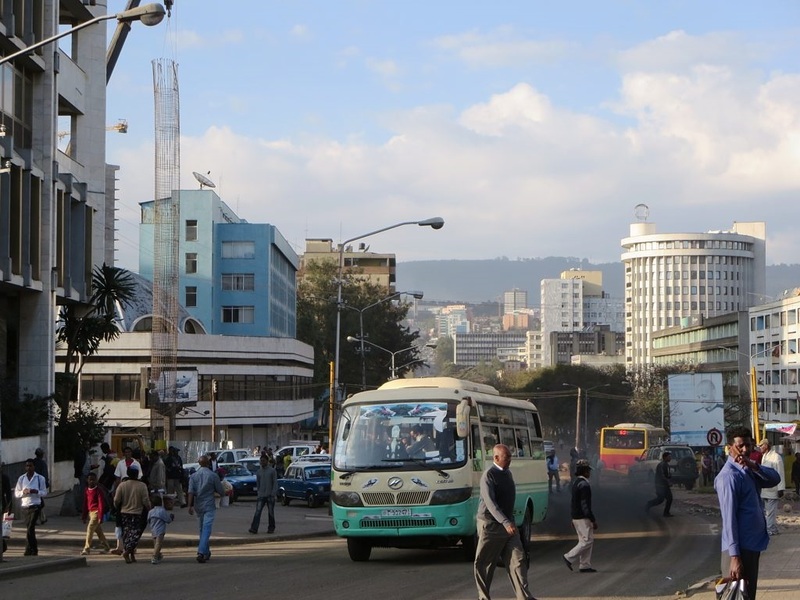 Moreover Addis Ababa, with a GDP per capita of $6,000 is six times richer than the rest of the country and has, according to business experts, a great potential. PricewaterhouseCoopers economists included Addis Ababa in their “Next 10” biggest cities in sub-Saharan Africa for investors. If fulfilled, such economic potential, would help the city outlining and funding a broad climate adaptation plan to protect its most vulnerable citizens from climate change and to improve their everyday living conditions.